With the Sierra Designs Backcountry Bed you can sleep in the wild like you do at home, with a comforter. With an oversized, integrated comforter sealing the opening, you can sleep comfortably and naturally on your back, side, or stomach. Sierra Designs award-winning Backcountry Bed design is now available in an Elite build. With 850 Fill DriDown and a 10D shell fabric, the Elite 2 Season Backcountry Bed will bring a new level of comfort to those of you trying to save some weight. The Sierra Designs DriDown Pillow perfectly adapts to your needs. Use the DriDown pillow top with the insert for ultimate comfort or save weight by leaving the insert behind and using spare clothing as filling. The fusion of luxury and lightweight come together with a weight savings of 10oz over the 2014 UL build. 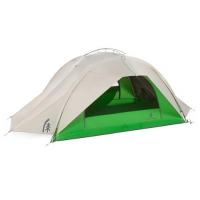 The Sierra Designs Flash 2 FL defies all previous beliefs about how light a full-size, full-featured shelter can be. 5 oz lighter than the 2014 UL build, the 2015 Sierra Designs FL build of the Flashlight 1 is the perfect backpacking tent for those who want to transition to a non-freestanding build and believe that comfort and lightweight shouldn't be mutually exclusive. 10 oz lighter than the 2014 UL build, the 2015 Sierra Designs FL build of the Flashlight 2 is the perfect backpacking tent for those who want to transition to a non-freestanding build and believe that comfort and lightweight shouldn't be mutually exclusive. The same Mobile Mummy now available with a synthetic fill. Poly Fiber offers great performance in warmer conditions. You can wear it like a garment to sit up and use your hands, or stow the foot box for a walk around camp. 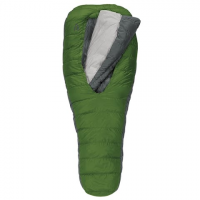 Sleep in comfort on your next camping trip with help from Sierra Designs` Backcountry 600 20 Degree Sleeping Bag. 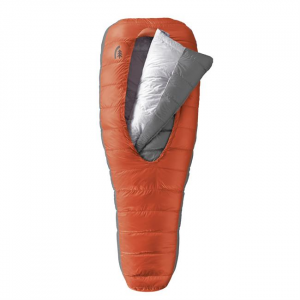 This sleeping bag features a versatile integrated comforter as well has insulated hand/arm pockets. 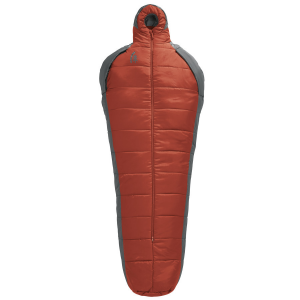 The lofty 800-fill-power Sierra Designs Backcountry Bed 800 2-Season Sleeping Bag has an integrated comforter and zero zippers for a unique outdoor sleeping experience through spring and summer. 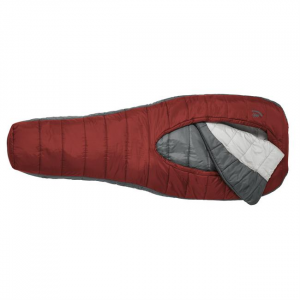 Built for minimalist, mild weather treks, the unique opening in the Sierra Designs Backcountry Bed Elite 850 Sleeping Bag lets you sleep in your preferred sleeping position while still staying warm. Sierra Designs ` Flash Standard tents feature all of the same benefits as the popular Flash FL and then some. With the Flash Standard you get a retractable rain fly allowing for unhindered stargazing. The 2-person, 3-season Sierra Designs Flashlight 2 FL tent features a featherweight design that is lighter than the previous version, yet with all the same benefits for comfort and livability.